This privacy statement is provided by Sean Gavin Electrical Limited and its subsidiaries (referred to as ‘us’, ‘our’, or ‘we’ in the statement) for the information of visitors (referred to as ‘you’ or ‘your’ in the statement) to our website. We are committed to ensuring that your privacy is protected. By visiting our website, you consent to the use of your information as set out in this privacy statement. We may change our privacy statement at any time. If we change our privacy statement we will post the changes on this website. Owing to the global nature of the Internet, there is a possibility that your information may be transferred to countries outside the European Economic Area. By submitting your information to us you consent to these transfers. Please note that this privacy statement is subject to the terms and conditions of use of Sean Gavin Electrical Limited and its subsidiaries website. We receive and store any information you enter on our website or give to us in any other way. You can choose not to provide certain information, but then you might not be able to take advantage of some of our features. We use the information that you provide for such purposes as responding to your requests, customising our online services for you, improving our online services, and communicating with you. Where you voluntarily provide personal information, the information may be used for analysis, research or customer service purposes only. We will use your data for the purpose for which it was originally provided and will not be disclosed in any manner which is incompatible with the purpose for which it was obtained. We will only disclose your data to third parties who are our employees and for purposes in relation to the services we provide to you. In certain cases we share your information with carefully selected third parties who provide services to you on our behalf. In these cases we will ensure such third parties only use your data in accordance with our instructions and that adequate safeguards are in place to protect your data. If you have any questions about this privacy statement, how we run the website, or wish to know what information we hold on you please contact our Support Desk. Looking for Electrical Contractor in Galway? How a Central Vacuum works? Building a new home? 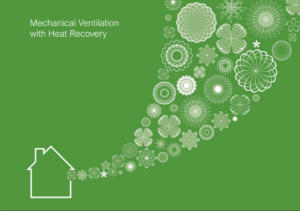 Upgrading your Ventilation or Electrics? Get a quote from the team at Sean Gavin Electrical Limited.